Motorola on Tuesday announced a pilot project to provide doorstep service to its smartphone users in India. Called Moto Xpress, the service is being trialled in Delhi, Gurgaon, and Noida. By sending service staff directly to the user, the Moto Xpress home pickup and drop service is aimed at rectifying software and accessory related issues on the spot within an hour, and hardware issues within five working days. Within the pilot period, users can book the Moto Xpress service by calling +911141717124. It costs Rs. 199 per service. Motorola says its other customer care initiatives will continue to operate as is, and adds it has 160 service centres across the country. The company had launched its Moto Care centre in Bengaluru back in March. Late last month, at the launch of the Moto G 3rd Gen (Review) smartphone in India, Motorola said it is evaluating options to set up a manufacturing facility in India to cash in on the burgeoning demand for smartphones in the country. “Evaluation is going on… We will have news soon,” Motorola Senior Marketing Director Europe, Middle East, Africa and Asia Pacific Marcus Frost told PTI when asked whether the company is considering setting up a production unit in India. He declined however to disclose further details and timeline for the same. Motorola makes devices in China and Latin America. It had a plant in Chennai, which was shut down a few years ago. 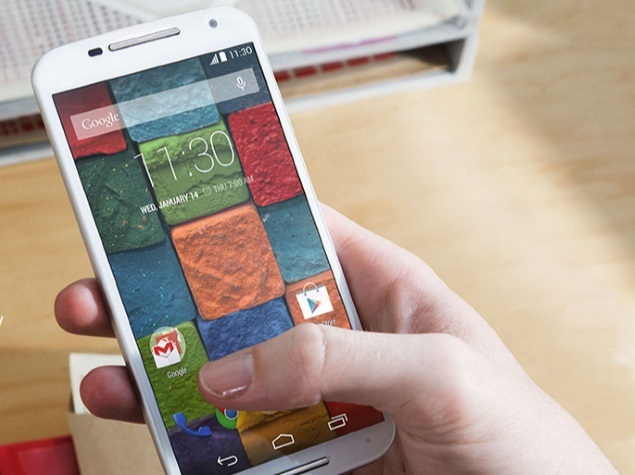 The Motorola Moto G (Gen 3) has been launched in an 8GB inbuilt storage variant with 1GB of RAM priced at Rs. 11,999, and a 16GB inbuilt storage variant with 2GB of RAM priced at Rs. 12,999.